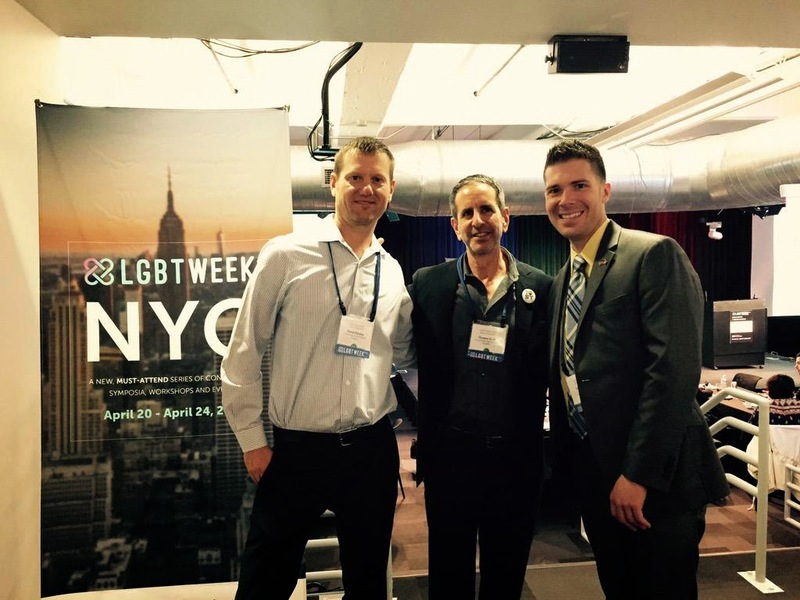 Our inaugural LGBT Week NYC was held this last week, April 20-24, 2015, at venues throughout New York City. Building off of the success of our LGBT Marketing Conference held for the past 7 years in New York, Community Marketing & Insights and Pink Banana Media created an expanded LGBT conference schedule for 2015, bringing the broader scope of Marketing, Advertising & Technology to the mix, with the theme "Education & Networking: Bringing together the worlds of advertising, marketing, technology and business in the LGBT marketplace." We had an incredible array of attendees, both for the entire week and for select, individual conferences. 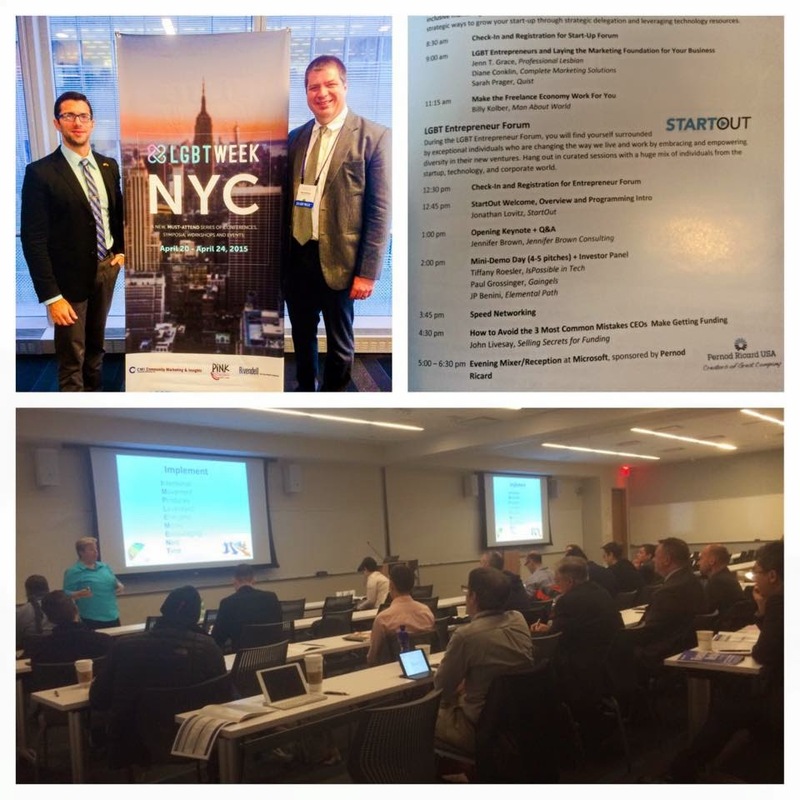 We also had a superb group of partners putting together events with us during LGBT Week NYC, including StartOut, NGLCC-NY and more. Our presenting sponsor for the entire week was Rivendell Media. Additional sponsors included PowerVJ and Focus Group Radio. Our promotional copy read as follows: "Held in New York City, the LGBT Business Capital, LGBT Week NYC is all about connections. How can you identify the best markets within LGBT to maximize ROI? Which mix of elements should be in your plans: Print ads? Websites? Mobile? Social? Sponsorships? How will you measure success? Who can you partner with to amplify your initiatives? We cover it all and much more with intriguing expert presentations and real-life case studies. Whether you are new to the LGBT market, or a long-time veteran, you can't afford to miss this comprehensive educational and networking program." The program started first thing Monday morning at Microsoft, where we had a series of presentations focused on the LGBT Start-Up community. The program description read as follows: "As an LGBT entrepreneur you will face adversity your straight counterparts will not. This forum will lay the foundation of the history of LGBT people in business and advertising, while providing real life suggestions for how you can leverage your unique LGBT identity in your marketing. 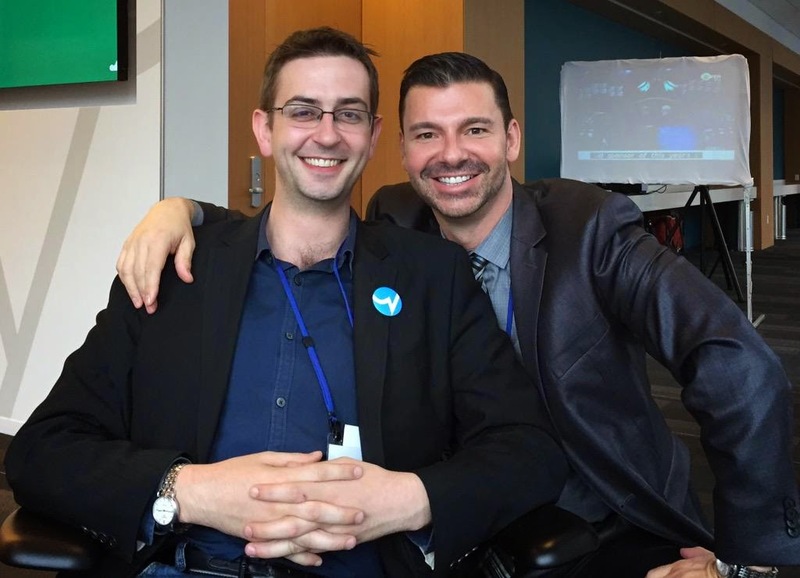 Discover how to move past the belief that the LGBT community is monolithic and shift your focus toward how you can uniquely market to individual subsegments of the community. 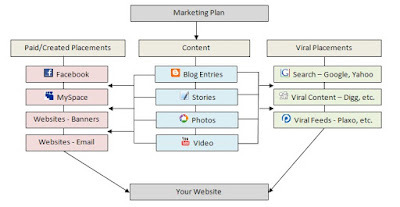 You'll learn why an integrated and inclusive marketing approach that is authentic to you, is your best marketing asset. You'll also learn strategic ways to grow your start-up through strategic delegation and leveraging technology resources." Key speakers for these morning sessions included Sarah Prager, Diane Conklin and Billy Kolber. After a short break, Monday afternoon kicked off with Jonathan Lovitz taking the lead from StartOut. 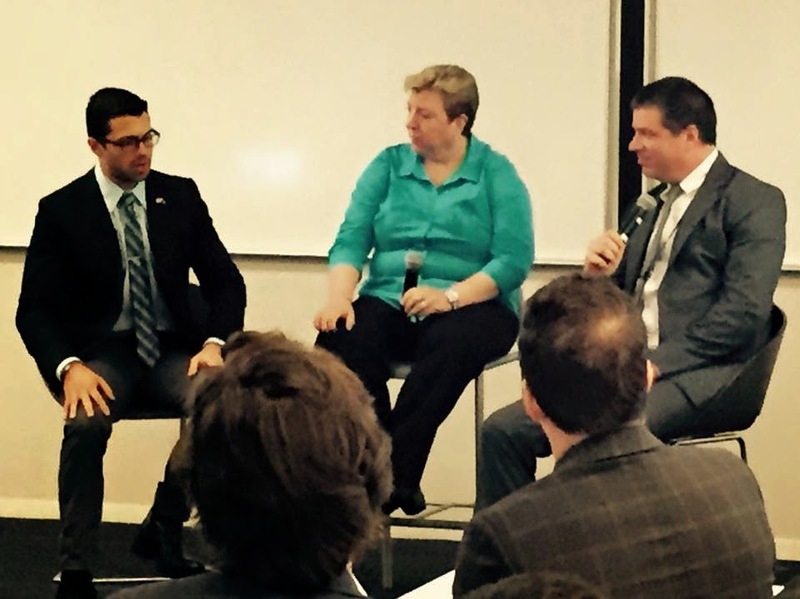 With a focus on the LGBT Start-Up Entrepreneur, presentations focused on raising capital, networking and more. The program description read as follows: "During the LGBT Entrepreneur Forum, you will find yourself surrounded by exceptional individuals who are changing the way we live and work by embracing and empowering diversity in their new ventures. Hang out in curated sessions with a huge mix of individuals from the startup, technology, and corporate world." Key speakers included John Livesay and a wide variety of panelists. Post-conference, we had a wonderful networking reception at Microsoft, sponsored by Pernod Ricard. Additional receptions after this including a nearby gathering of the Manhattan Chamber of Commerce's LGBT group, as well as a Lesbians Who Tech Happy Hour. Tuesday's programming, produced by Community Marketing & Insights and hosted at Google, was focused on the LGBT travel community... entitled "LGBT Tourism & Hospitality Symposium", the program description read as follows: "Tap into the expanding and diversifying LGBT tourism and hospitality marketplace. This dynamic and fun day of all new content features industry leader case studies, along with a review of Community Marketing & Insights' latest LGBT research and best practices training. We'll cover advertising, marketing & technology concepts that relate directly to LGBT travel. Ideal for tourism offices, CVBs, DMOs, hospitality groups, hotels, tour operators, meeting planners, retailers and more. Includes lunch and networking breaks." 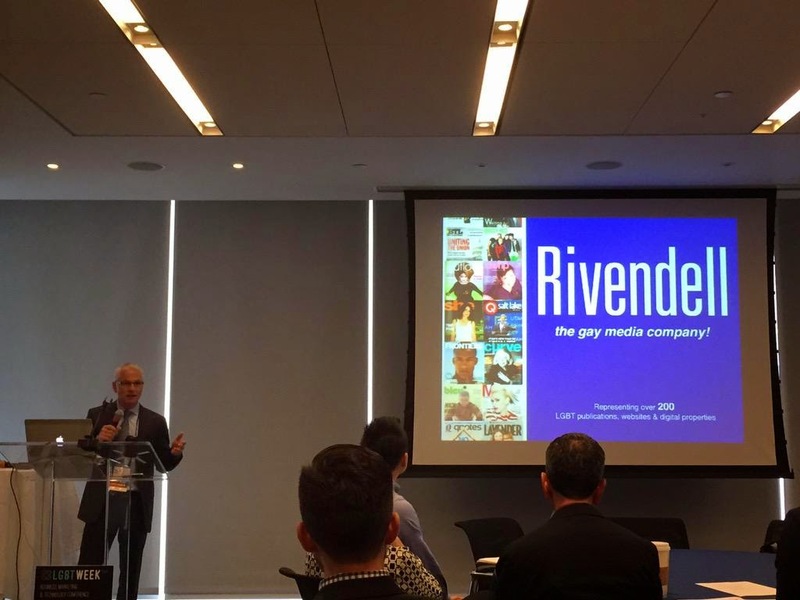 A wide variety of speakers presented on the various aspects of reaching the LGBT travel community, including an incredible presentation by Fred Dixon and his team from NYC & Company, as well as Ross Levi presenting on NY State's LGBT tourism initiatives. Additional speakers including Apoorva Gandhi of Marriott and Dionne Joyner-Weems of Visit Baltimore. Atlantic City's DO AC campaign was a sponsor for the day. 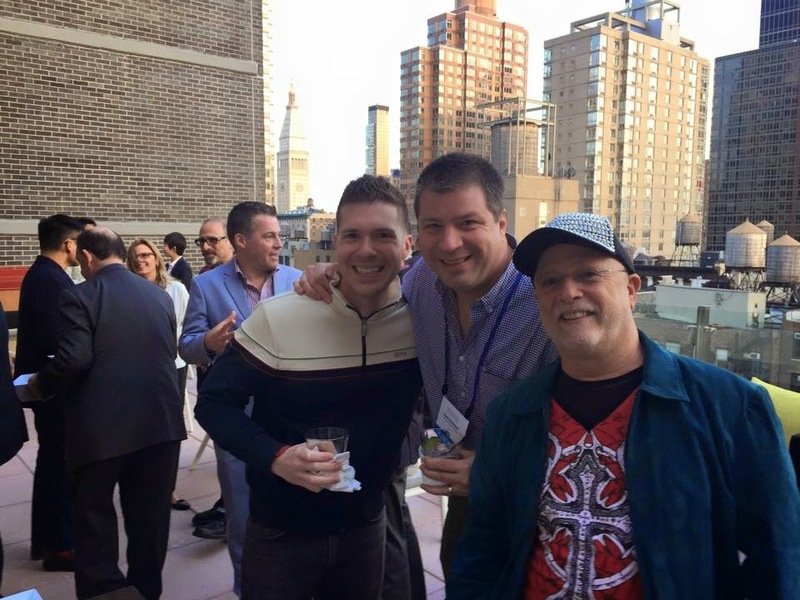 Our post-conference reception was held at the newly opened Cambria Hotels & Suites in Chelsea... their rooftop patio made for some excellent networking and gorgeous NYC sunset views. Wednesday's programming was held at the Marriott Marquis in Times Square and included a morning session dedicated to LBT women's issues and topics in business. Hosted by Andrea Minkow and Maureen Erokwu, it made for a very lively series of sessions. The afternoon sessions were focused on the world of LGBT families, with a variety of presenters including Gabriel Blau of Family Equality Council. 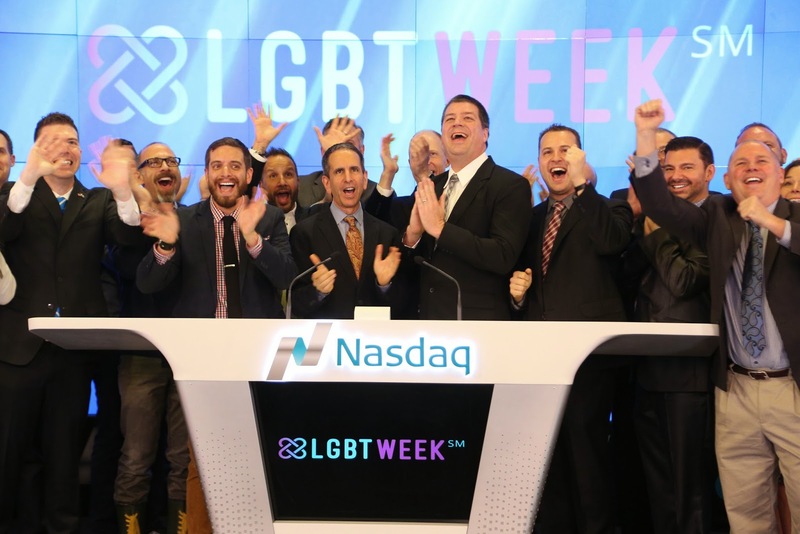 Wednesday afternoon took on a life of its own... the folks at Nasdaq noticed what was happening with our LGBT Week NYC event and invited us down to their Times Square location to ring the closing bell... it was a moment all of us will remember forever! Our group descended upon Times Square promptly at 4 pm to ring the closing bell, and the social media world lit up with photos and tweets using the hashtag #LGBTWeekNYC. 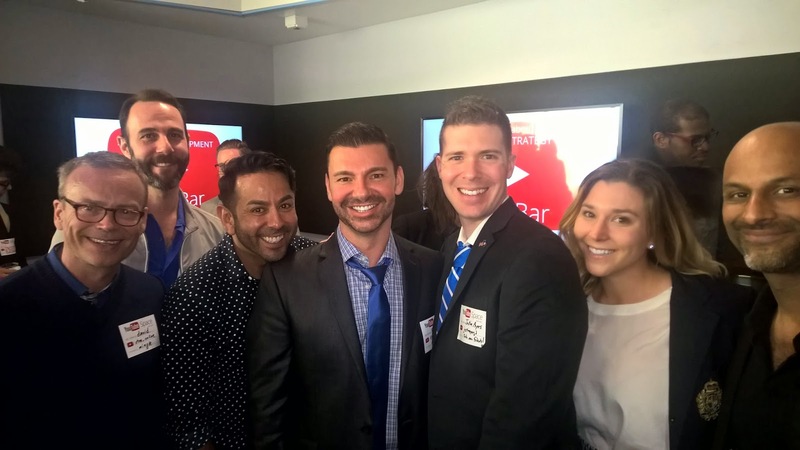 Our Wednesday evening event was held at YouTube Studios in the Chelsea Market. They invited our group to their YouTube Content Creators party and allowed us to meet and mingle with a wide variety of YouTube celebrities and producers in their ultra-cool Chelsea studios. 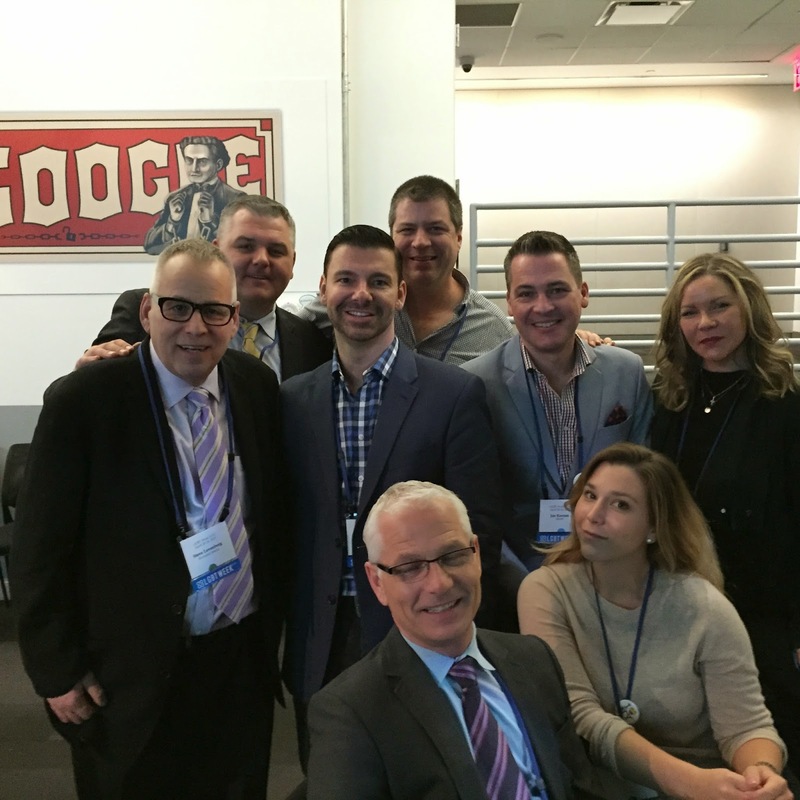 The main event of the week, which started 8 years ago and which formed the anchor for LGBT Week NYC was the LGBT Marketing, Advertising & Technology Conference, held at the New York Times Conference Center. This was a full-day conference event, with sponsors including .LGBT. 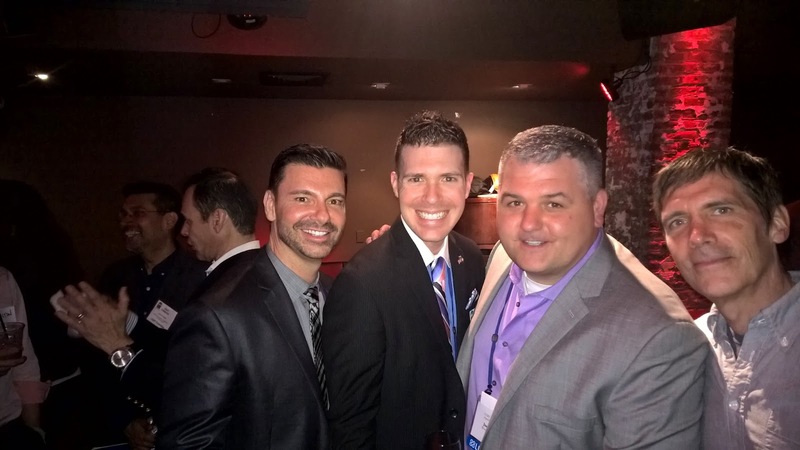 Our Thursday evening reception was the biggest of the week, held in conjunction with the NGLCC-NY and their monthly M3 mixer. Held at Etc Etc, this event was a full house, sponsored by Pernod Ricard and with video and music provided by PowerVJ. The second day of the LGBT Marketing, Advertising & Technology Conference had more of a focus on the digital side of life, with presentations focused on LGBT influencers, millennials and more. The team from the Chinese LGBT app, Blued, came out in force from Beijing and presented on both their company and the emerging strength of the LGBT market in China. We learned a lot this year in terms of what works best for hosting an LGBT business-focused series of events in New York City. 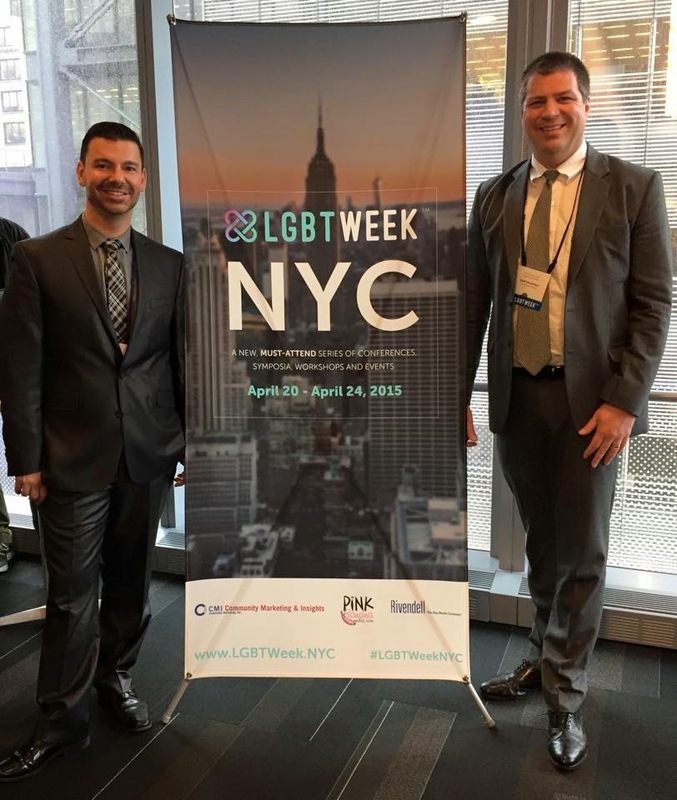 With attendance at 350 for the various events, we now have a basis from which to continue to expand and grow LGBT Week NYC with various LGBT business-oriented partners here in the city. We had a variety of folks come for the entire week's events, including folks from the Virginia Gay & Lesbian Chamber of Commerce, Blued, Two Bad Tourists and MuchPR. Also attending for most of the week were MWW Group, Here Media, Man About World and Xtra! Closing Words on LGBT Week NYC: LGBT Week NYC, perhaps our community's first Open-Source series of Conferences, Events and Symposia, is the culmination of over 20 years of LGBT market research, 20 years of producing LGBT educational programs, and drawing together some of the best minds across many industries and topics to share their experience and advice. 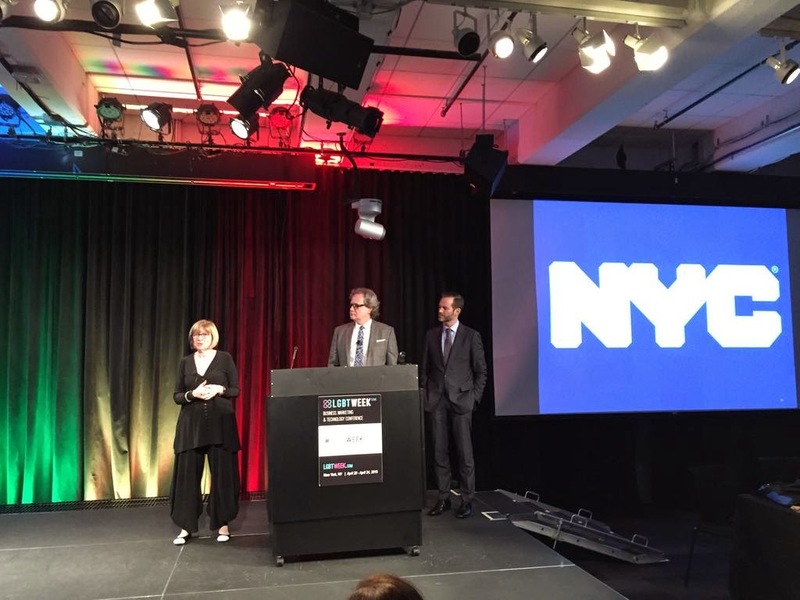 We are building LGBT Week NYC to be among the most comprehensive, and most productive events of its kind. 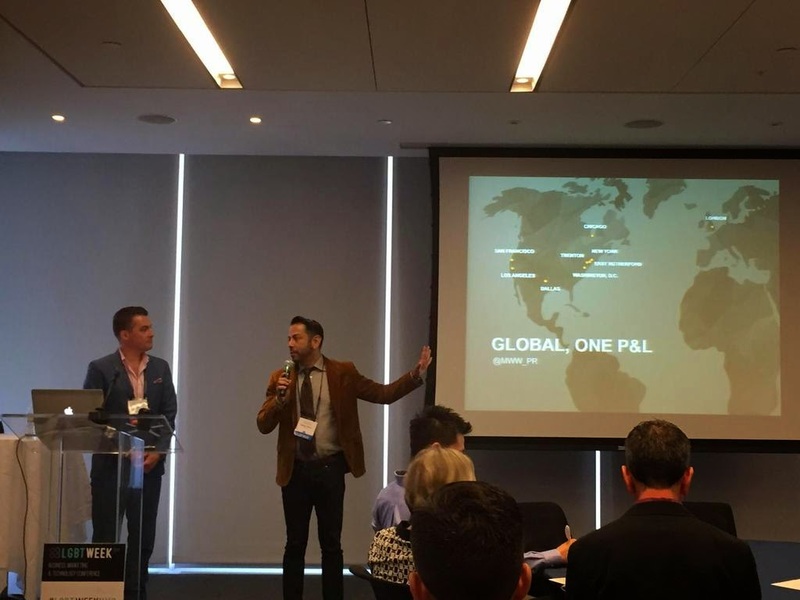 Along with intriguing and insightful presentations, LGBT Week NYC features networking sessions and events that will help attendees build the relationships so necessary for progress and success in the LGBT business space. We encourage not only attendance, but active, engaged participation. Registration is a-la-carte by session, and very affordable, making LGBT Week NYC accessible to everyone. We can't wait for 2016! Thank you CMI and Pink Banana Media for an informative and well-attended week! We at PowerVJ (www.powervj.com) were proud to sponsor this first-of-its-kind conference and provide a backdrop showcasing how our music video entertainment, combined with our LGBT-specific nightlife advertising platform, can help brands engage with the LGBT market effectively with exclusive video campaigns. We look forward to hearing from those who would like to learn more.